If you know, please tell me the truth, is it a common belief in Chabad today that the world runs and operates according to the ratzon (will) of the Rebbe? There are sources to base this on - "a tzaddik (righteous person) decrees and Hashem fulfills, Hashem decrees and the tzaddik nullifies it", "the ratzon of those who fear Him, He will do" (from the prayer Ashrei). There are other teachings both Chassidic and non-chassidic that say that Hashem gave tzaddikim a lot of control over both the physical and spiritual worlds. So, I'm concerned that many in Chabad might feel that Hashem has given over the running of the world to the Rebbe or has at least made the Rebbe His partner in running the world; and that the Rebbe has the power to grant requests. Is this an unfounded concern of mine? When discussing the beliefs of Chabad Chassidim today it is essential to distinguish between the genuine teachings of Chabad, which the majority of Chabadniks follow, and the beliefs of a very vocal small minority. It is common for all followers of any rebbe, or any teacher, to embellish and exaggerate their teacher's merits. It is well-known that there are some Chabadniks who wildly excel in this. But what did the Rebbe say about this exaggeration? He screamed until he was literally red in the face not to call him the Moshiach! More than once, he screamed, and there were thousands of his Chassidim who heard him, but still, they do what they want to do. When he screamed against this exaggeration a large number of his Chassidim openly said, "He didn't really mean it." He screamed that they would ruin it for him, and as usual, he was right. Today, I am sorry to say, there are even some websites that openly promote idolatry! 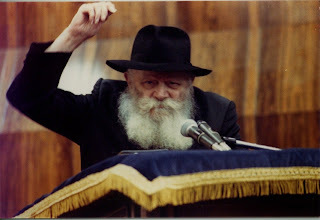 The Rebbe definitely was a tzaddik, and even more. I myself heard him speak prophecy during the Scud War (1990). But tell me, if this belief about a tzaddik's will was literally correct, wouldn't the Moshiach (Messiah) have already come? Wasn't that what the Rebbe wanted most? Wouldn't the Rebbe have had children? How many times do you think he prayed for children? But obviously Hashem said, "No". So, the Rebbe being what he was went out and made hundreds of thousands of Chassidim his children. To best understand the Rebbe and what he thought, read his letters answering questions that were sent to him. In these letters you will see his amazing clarity, humility, and genuine sympathy. There is no need to exaggerate a wonderful thing. One of the Chabad Rabbis I most respect once told me that he has a hand written letter from the Rebbe, in which he writes that Moshiach must be alive. I'm guessing the Rabbi doesn't publicize it because he knows that it wouldn't change anything, only create contention. But I for one am glad to know it. As to the "Rebbe's ratzon." I recall reading once that when asked how he knew something, he replied that he didn't, but only repeated what he was told. I.e., the Rebbe was/is a complete Tzaddik, who has no ratzon of his own. The only reason the Rebbe wanted anything was because Hashem wanted it.